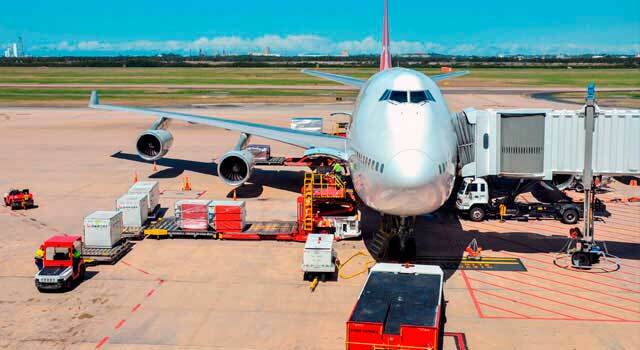 Use this website to quickly find the most important information about Brisbane Airport (BNE): Flights (Departures, Arrivals), Parking, Car Rentals, Hotels near the airport and other information about Brisbane Airport. 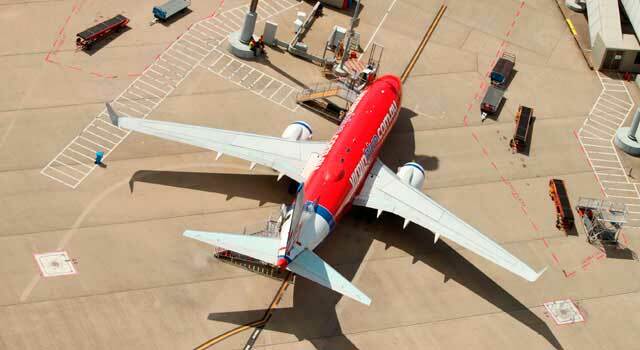 Plan your travel to BNE Airport with the information provided in this site. Brisbane Airport (IATA: BNE, ICAO: YBBN) is the third largest airport in Australia in terms of passenger traffic (after Sydney and Melbourne) and the primary airport serving the city of Brisbane and South East Queensland State. Brisbane International Airport (IATA: BNE) is the third largest airport in Australia. The airport is located 15 kilometres northeast of Brisbane CBT. Brisbane Airport served more than 23 Million passengers in 2017. There are two terminals, Domestic Terminal and International Terminal. International terminal has just finished it remodelation. 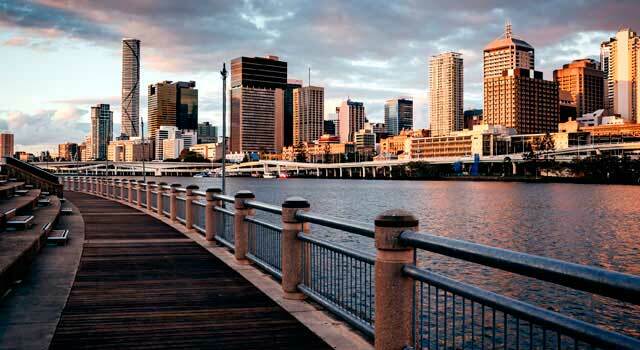 The airport is located approximately 14 kilometres (9 miles) from the Brisbane CBD, 'the city'. Brisbane Airport is a hub for Virgin Australia, Qantas and Jetstar. It is also the base for Tigerair Australia and Alliance Airlines. The top 5 routes from Brisbane Airport are international flights that go to the following destinations: New Zealand (Auckland), Singapore, United States UAE, Hong Kong and Indonesia. In 2017, Brisbane Airport handled 23.2 million passengers. Traffic in the airport is approximately divided in 75% domestic and 25% international. The airport is also considered between the top five ones that operates more punctual (arrivals and departures occurring within 15 min. of their scheduled times). Brisbane Airport has two terminals, separated approximately by 1 km. It is a curved building with three satellite arms. - Northern End: Serving Qantas and Qantaslink. 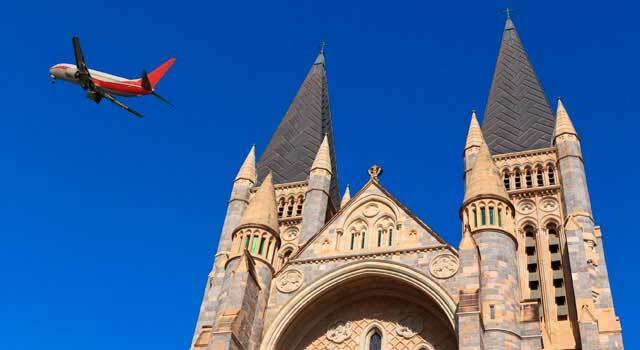 - Southern End: Serving Virgin Australia. 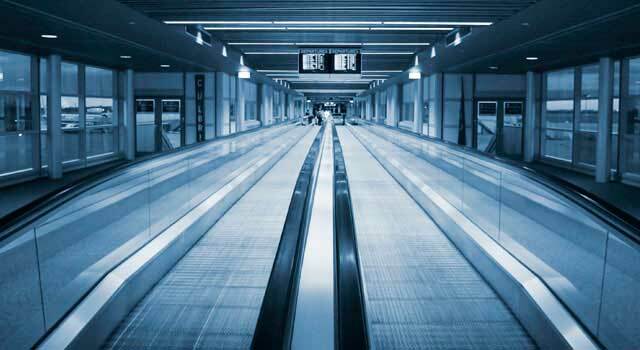 Hosts all international flights, is divided in 4 levels: level 1 handles airline offices, operators and baggage, Arrivals are on level 2 and Departures on level 3 and 4. - Airport Transport Bus: Includes Domestic and International Terminals and also Skygate (commercial centre). Transfer time is about 10 minutes between two terminals. - AirPark Transfer Bus: 24/7 transfer bus service between the AIRPARK and both terminals. - AirTrain: Travels directly from each terminal to Brisbane and the Gold Coast, and also between terminals. Hours: between 05:40 am and 10:04 pm, departing every 15 minutes during peak hours. The airport serves 30 airlines flying to several domestic and international destinations. The airlines operating most flights in Brisbane Airport are: Virgin Australia, Qantas, Qantaslink, Jetstar Airways. The domestic destinations with more passenger traffic are: Sydney (4,7M), Melbourne (3,5M), Cairns (1,3M), Perth (0.9M), Townsville (0.9M). The international destinations with more passenger traffic are: Auckland (0,9M), Singapore (0,7M), Los Angeles (0,4M), Dubai (0.4M) and Hong Kong (0,3M). - Bus: There are several services from the airport. Check Con-X-ion counter in the airport.